Mr. Dimitris Papastergiou was born in Trikala in 1973. He studied Electrical and Computer Engineering and he loves electronics and software programming. His belief regarding the involvement with the public scene is that “it concerns is a one-way direction, if we want a change. That’s why I am participating in local community issues since the age of 29”. Furthermore, he has been a planner and developer of energy construction projects. He is Mayor of the Municipality of Trikala since 2014, leading the political party “Trikala Restart Now”. He is also a member of the commission of the Greek municipal Union (KEDE) and president of the corresponding committee for “Development, Innovation and Entrepreneurship”. His goal is to develop real smart and sustainable cities in Greece. He rides a bicycle every day to go to work and as a good habit. Mr. Papastergiou, how would you describe the municipality of Trikala in a few sentences? The city of Trikala is a typical medium-sized European city, with a history of more than 5,000 years and a population of approximately 80,000 inhabitants. Trikala is famous for its culture, folk music – it is the birthplace of numerous famous Greek musicians; agriculture with products like wine, feta cheese, sausages and pies, while quite recently as a top family touristic destination, especially during Christmas and it is famous with the thematic park of the Elves Mill. Moreover, Trikala is internationally known as the Greek smart city flagship, with several smart infrastructures and services. 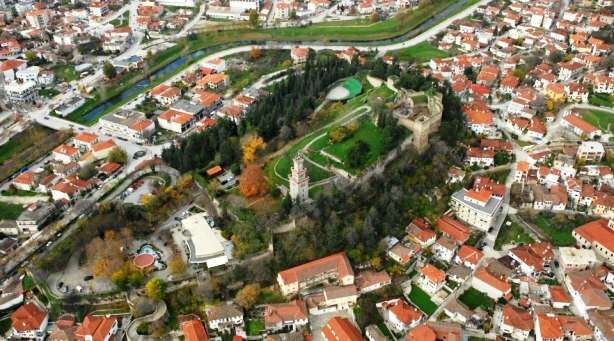 What makes Trikala different compared to the others Greek cities? We, the community and the municipality we are thinking different in several ways: we enjoy developing and adopting new ideas, which deal with creativity and technology; we respect people and we have provided several indicative initiatives, worth mentioning that we have welcomed immigrants during the recent crisis; the human care services that we offer to elder and to poor people, and to people with disabilities; the support of the young people with free-of-charge courses on technology and access to open workshops; and with enforcement of law that respects human lives (e.g., mobility and anti-smoking campaigns etc.). Trikala is known as the first Smart city in Greece. How do you integrate technology-powered solutions into the daily life in municipality and deliver government services to citizens through e-governance? One of the primary initiatives that we undertook concerned the deployment of internal information systems that guide all the government-to-government processes. Moreover, we started standardizing the processes, especially the ones that were guided with these information systems (e.g., the payment processes). Additionally, we launched simple digital services for complaint registration and for certificate issuing, which beyond service simplification enabled the Municipal services to enhance their response against complaints from a couple of months to a couple of days. Finally, we released data and processes with online public consultations and open datasets on our data portal. Trikala is also becoming the first "5G-Ready city". How this will improve the lives of citizens? Indeed, the city of Trikala was selected to host one of the first three 5G pilot cases from the General Secretariat of Telecommunications and Post of the Greek Ministry of Digital Policy, where a 5G network will be deployed within the following months, as a means for testing and verification of its potential against competitive technologies in the urban space (e.g., Wi-Fi and LoRa), as well as to enable the infrastructure for advanced smart service deployment (e.g., autonomous vehicles, early warning systems, co-branded debit card etc.). Transportation safety (interactivity with smart lighting; drivers' view sharing) and advanced services (autonomous vehicles) Trikala tested the autonomous bus in 2015 for the purposes of the EU project CITYMOBIL and is granted for further development at an EU project AVINT. All the available sensors installed by the Municipality (parking; lighting; traffic; waste bins; water meters etc.) will be integrated and tested with 5G in an attempt to scale-up at a city-wide size. Fleet management and collaboration (e.g. public fleet share between local agencies) etc. Please share other good practices from your municipality and explain how you fund them. Smart parking: 48 sensors are being monitored and offer drivers navigation to available slots; data analytics have specified the charging policy and drivers’ behavior and the Municipality aims to optimise parking service at a big scale under the 5G potential. Solid waste collection: 20 bins are being monitored and the municipal service has been improved; a citizen complaints registration service is being offered via web and mobile App and has improved the municipal service for garbage collection. 5G is expected to enable a larger-scale coverage and citizen engagement for effective waste bin collection and process, while the procedure can be enhanced with other partners (e.g. 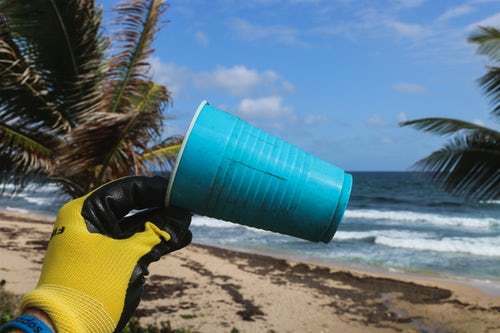 for recycling; green process etc.). Water management: smart meters enables consumer notification (e.g. malfunction detection). The utility provider is willing to scale-up with 5G and offer personalized services (early warning service of network breaks or in-house malfunctions). Smart open mall: local commercials use a small-scale Wi-Fi to share personal offers with the connected users. It is expected to be developed. City’s energy efficiency: the city measured its energy demands and production under an EU-funded project (InSmart); it has been launched a data analytics project that calculates and depicts energy consumption from the municipal buildings and street lighting; it installs smart building technologies to monitor and streamline energy consumption within the municipal buildings. The above are only some of the initiatives that Trikala Municipality has launched in small scales, either with municipal funding or in the form of self-funded pilot projects. The successful ones are planned to be scaled-up with funding from national and European funds, or with partnership with vendors. The tourism offer of Trikala combines successfully modernity and cultural heritage. Could you tell what is unique about the city? Some of the local strengths were presented earlier and they are connected with the long history of Trikala, the strong cultural and music capacity and nature. Additionally, close to Trikala are famous areas that attract numerous tourists: the holy mountain of Meteora and the beautiful highlands of Trikala. The above strengths have been supported by initiatives that have been launched by the Municipality, especially the Christmas thematic park of the Elves Mill that brings more than 1 million visitors per year in Trikala. Recently, we started supporting tourist service providers with technology, worth-mentioning the Smart Open Mall that connects visitors with retailers, and with digital marketing training in Partnership with Google® – under the National Coalition for Digital Skills and Jobs-. TheMayor.eu is a unified platform for the European municipalities, where the citizens can get the latest information about what is taking place in the European Union. How can the portal be useful to you and to the citizens of Trikala? Trikala has been transformed to a technological hub, which is being observed by our residents and numerous foreigners. We can receive and spread useful information via our digital channels, as well TheMayor.eu. Are you running for office in the upcoming local elections in Greece? Yes, indeed and I’m a candidate for the next Municipal leadership. However, regardless of the elections result, I will be proud of the local community choice of Trikala.